The Click Clack Silver Promotional Mint Tins are filled with sugar free mints. You simply push down to open and snap down to close. 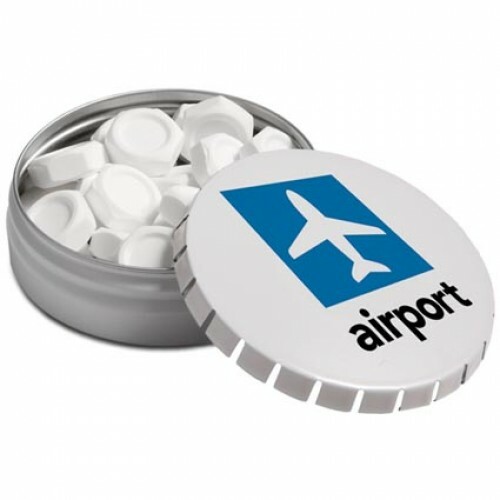 When the mints have gone it is a reusable tin which is ideal for storing small items. Dimensions 45mm x 45mm x 15mm. Print area: Top 30mm diameter.